EagleGet is a free all-in-one download accelerator and manager, that uses advanced multi-threaded technology to maximize downloads speed and speed it up to 6 times faster. It supports HTTP, HTTPS, FTP, MMS and RTSP protocols and can also download video files from most popular online video websites. With EagleGet, you can download video, music, documents, applications or any file from the internet. EagleGet can be integrated into most popular browsers: Internet Explorer, Google Chrome, Mozilla Firefox and Opera Browser with single click. It also offers a Downloader extension for Google Chrome that can take over and accelerate the downloads from your Chrome browser. 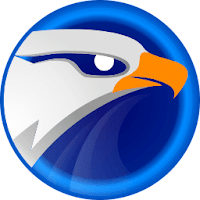 EagleGet Free Downloader. Disclaimer: Direct downloads for the lastest version of EagleGet 2.0.4.27 are provided by the official software's author, we can't guarantee safety, availability or download speed. Moreover, we don't and we won't provide any pirated/illegal versions or tools. We recommend you to avoid it as these methods can harm your device. If you like the software, buy it to support the developers. (We provide software discounts for many worldwide brands).